'Sherrewogue', the Devereaux Emmet estate enlarged by Stanford White c. 1895 in St. James. Click HERE for more on 'Sherrewogue'. Click HERE to see 'Sherrewogue' on google earth and HERE on bing. A very interesting site orientation that I am sure had everything to do with its originally being a colonial period house. St. James looks like a lovely place- still. That's my idea of a perfect house. Zach -- Was White's garden in the area of the swimming pool? There's what looks to be a vegetable and/or cutting garden to the east, but that seems to be something else entirely. Ancient...that seems about right. You can tell from the angle of the older pics part of the garden was in the empty field to the left of the front facade and porch. Beautiful!! Seems in mint condition. To bad about the little creek though. The original, much larger property contained a nine-hole golf course which Emmet seems to have used to test out ideas he subsequently pursued elsewhere. Lovely. Colonial homes - if done right - can be exceptionally inviting without being too busy. The ugly modern home adjacent to the entry drive aside, this property has survived through 2011 quite well. Biased as I am perhaps but Devereaux Emmet's design for the Leatherstocking Golf Course in Cooperstown, NY is his finest. 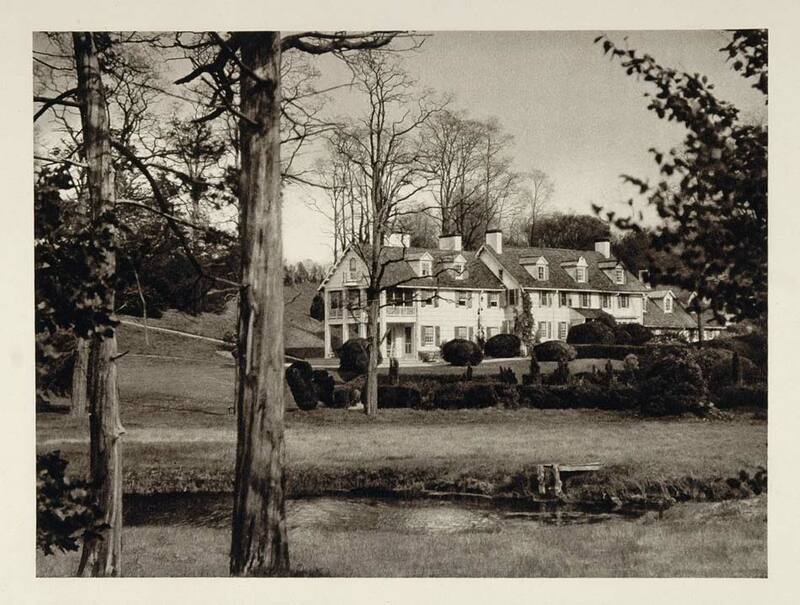 The Clark brothers (Ambrose, et al) built the course and adjacent hotel with heirs still retaining it today. I'm somewhat surprised with the family having worked with Emmet that they didn't use White for their many architectural projects. Devereux Emmet and Stanford White married sisters who were nieces of financier A.T. Steward. Love this place. Architectural quality and modesty, for an elegant and civilized life. McKim, Mead & White could pretty much do anything. The HA link at wikimapia shows the course north east of the house. Drove by this house yesterday. It's in mint condition, beautiful house and property. Whats the story of that monster house down the block to the east called the Owls Nest?? ?